(Issue 23) We won't send spam. We won't give out your email address. 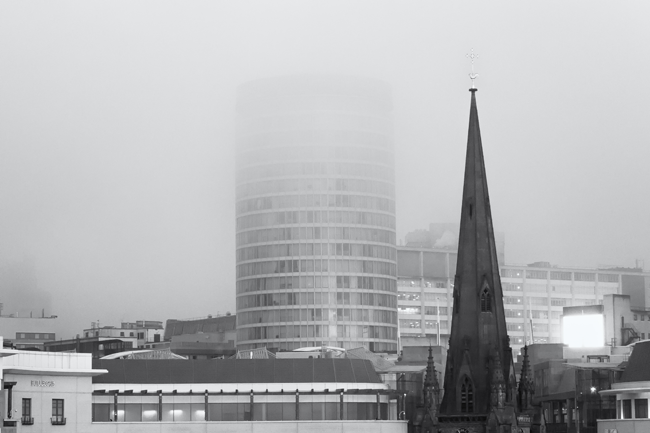 "I DECIDED TO GO OUT AND FIND A CITY TO FALL IN LOVE WITH"
The eternal debate about whether Birmingham is an attractive city will rumble on, answerless. That's a fact. For the thick-skinned the constant criticism about the aesthetics of our city, from other corners of the UK, will always register a zero on their give-a-damn-o-meter. Others will defend the city to the hilt and some agree that we live (or work) where beauty will never be a major selling point. Our opinion? This city is absolutely stunning in the right hands. And the right hands are Verity Milligan's. Verity is a videographer by profession and a photographer by passion. 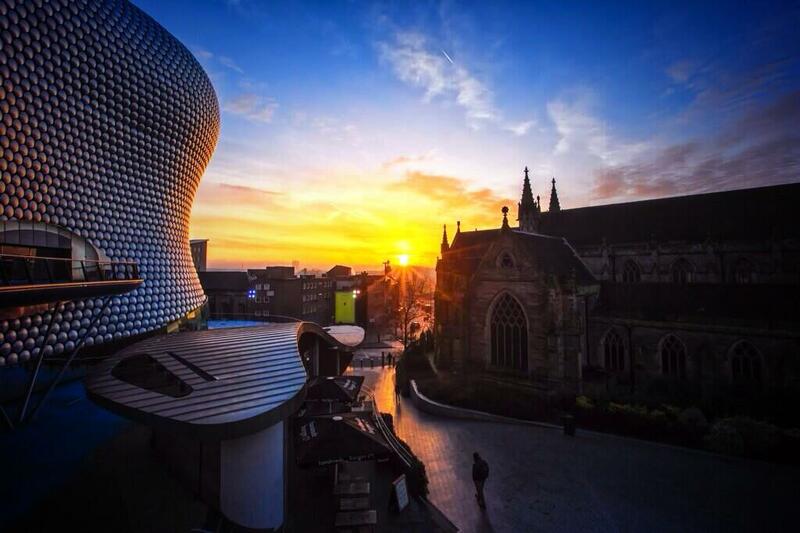 Her still imagery of Birmingham garners her huge acclaim on Twitter and many of her shots are available to buy. "This top photo was taken on what started out as an Intensely foggy day," she says. "I sensed it was going to be a nice sunrise, so I got up at 5.30am. 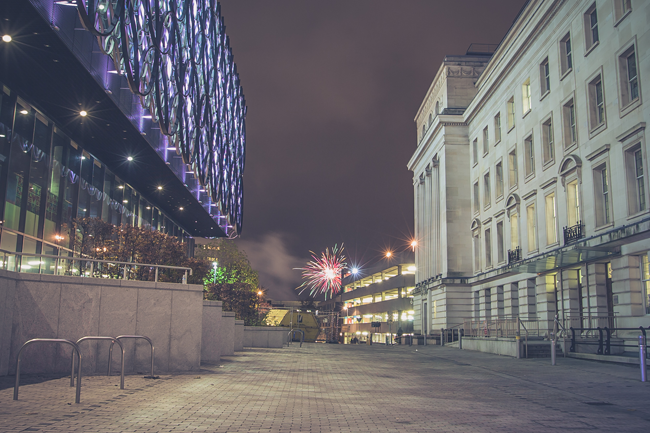 I began firing off shots at the top of Moat Lane car park - a great place for photographers to shoot The Rotunda. The sunrise was amazing, the light bouncing off the fog. By the time I had come down beneath the fog, my favourite vantage point - between Selfridges and St Martin's - looked stunning. At this time of year that's where the sun rises, right between old and new. "I don't carry a tripod. They're a bit too: "Ooh look at me, I'm a photographer." I carry a bag of rice everywhere I go. I just propped the rice on the railing, outside the library and my camera on the rice for this shot. So if you see a woman carting a big bag of Basmati about, it's probably me. 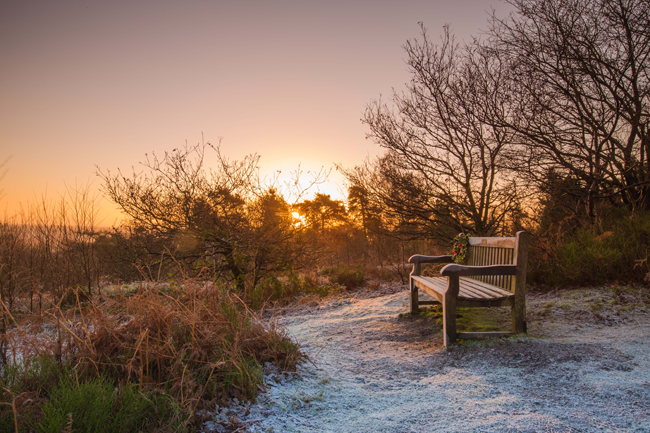 "This was another early start; The Lickey Hills, 6am. There's only about 4 hours of great light in any given day. My life exists in these four hours. Everything else is just passing time. The frost on this morning made everything magical. I've worked out that -2°C is an incredible temperature for photography. "I got lucky with this one. It wasn't even bonfire night. I just stuck the rice bag on a bollard and 'click'. Definitely one of my favourites. 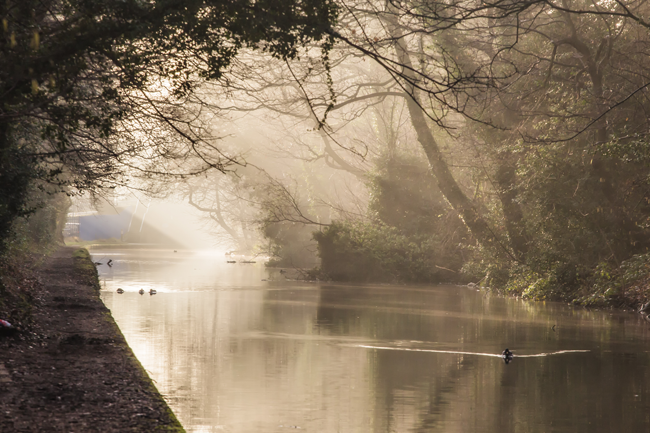 "The canal was particularly quiet and misty on the morning I took this. The canals in Birmingham are like a secret world, sometimes you forget you’re even in the city, especially in the early morning when the sun is rising and the light breaks through the trees, making everything ethereal and magical. I’ve seen kingfishers dart up and down this Acocks Green stretch in the past, and often disturb Herons quietly waiting on the canal side. Wildlife in the midst of industry. "I like the Rotunda. I never used to, but it's grown on me. Birmingham, in general, has. I spent years waiting for a city to love to find me, but it never came. So I decided to go out and find it, instead. With a camera. I'm so glad I have." A selection of photography is on sale at Red Bubble. Her Facebook is here. Basking in Birmingham's culinary success is something we all get to do - meeting the people behind it is a rarity. The incredibly engaging Andy Waters, Chef Patron of Waters On The Square, who won a Michelin star in 2002 within 6 months of opening Edmunds in Henley-In-Arden, is hosting two taster menu evenings at his Harborne venture. 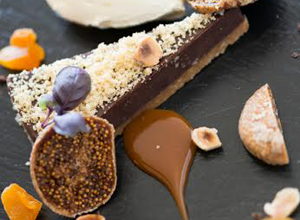 Back in November we tipped Waters On The Square for Michelin-starred success and, for just £45 (including wines to match), you can sample a stunning five course menu on April 1 or May 6 (7.30pm) His first hosted event, set to take place in March, sold out very quickly. Call 0121 454 5436 to book. WHERE HAVE ALL THE GOOD GUIDES GONE? 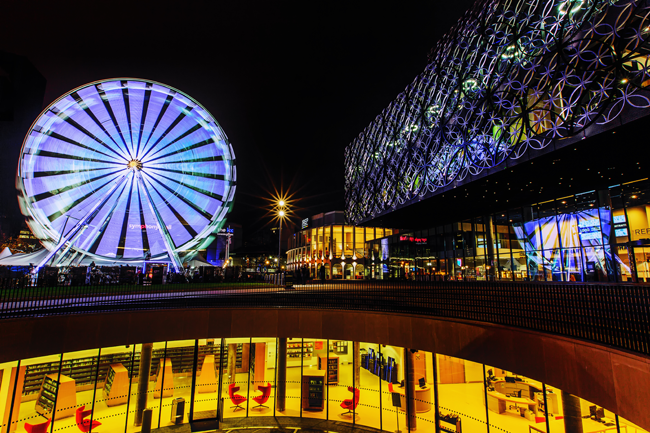 "A guided tour of a city can feel like a visit to the 19th century gallery or museum" says Ben Waddington, the brains behind Still Walking, Birmingham's finest festival for walking tours. "You get a good sense of royalty, civic dignitaries and generally the wealthy people of the day, but learn nearly nothing about what the everyday world was like. 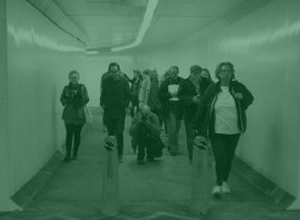 We’re leading guided tours into the 21st century, unveiling the many layers that make up a city." The just-released programme for his latest series of walks couldn't be more diverse. Check it out. We're keen on the last one. Sounds grimy. Tickets for all walks are just £5."